Main materials: A105; LF2; F5; F11; F22; 304(L); 316(L); F347; F321; F91; Monel; Alloy. 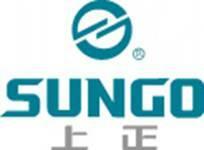 SUNGO check valves are available in three bonnet designs. The first design is the Bolted Bonnet, with male-female joint, spiral wound gasket, made in F304L/graphite, Ring joint gasket are also available on request. The second design is the welded bonnet, with a threaded and seal welded joint. On request a full penetration strength welded joint is available. The third design is the pressure seal bonnet, with a threaded and pressure seal bonnet joint. The check valve are also available in three different design configurations .These are piston check, ball check, or swing check designs. Looking for ideal Threaded Forged Check Valve Manufacturer & supplier ? We have a wide selection at great prices to help you get creative. All the Piston Forged Check Valve are quality guaranteed. We are China Origin Factory of Forged Swing Check Design Valve. If you have any question, please feel free to contact us.